Lovely, privately situated Cape, featuring an open first-floor plan, including a living room with fireplace and cherry hardwood flooring, cook's kitchen with granite countertops, screened porch, den, home-office nook, powder room, laundry, mudroom, and spacious master suite with large walk-in closet. On the second floor: two bedrooms and shared bath. Enjoy summers with central air conditioning, light-filled rooms unusual in a woodland setting, and delightful perennial gardens. 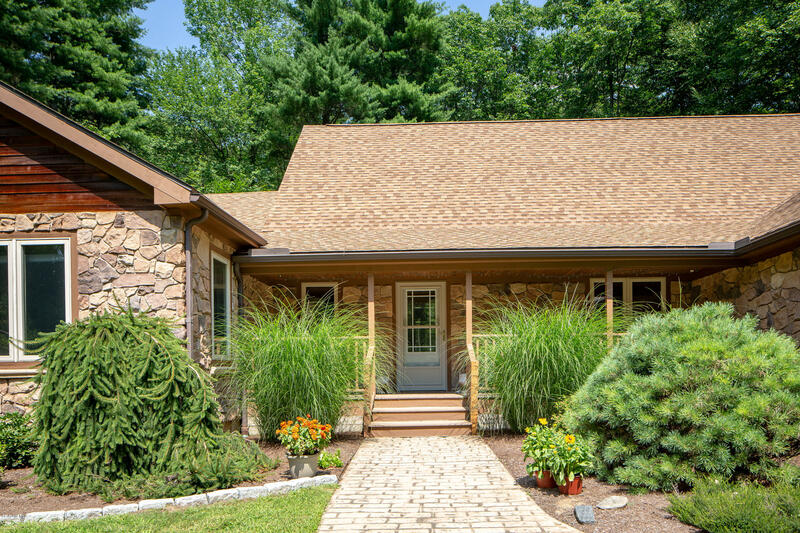 About 10 minutes from shopping and restaurants in Lee, 20 minutes from Great Barrington, and convenient to Exit 2 of the Mass Pike. Tryingham has contracted for high-speed, fiberoptic Internet to be completed by early 2019.